Americans will be buying fewer new cars in the future, says new Polk study. According to the research, Americans will buy four less vehicles until they reach 76 years old – the time when most people are done buying new cars. Latest technological advances in mobile devices have provided parents with a wide range of GPS-based monitoring options of vehicle driving habits of their teens. For Example, Rich Pilat is an independent insurance agent operating in the Cleveland area. His daughter, Jennifer was only 16 but she was starting to drive the car on her own. Pilat wanted to install a monitoring device in her car that would inform him about her driving activity and allow him to keep track of her driving. He would also be able to know whether she had been speeding or had resorted to sudden breaking. Naturally, the young teenage girl was totally against such an idea, since she felt that it would intrude in her privacy. However, he was able to convince her that the GPS device is a product from the insurance company and it would lead to a sharp reduction in what she paid as her share in the monthly auto insurance premiums. The battle over the automobile insurance coverage in California between the advocate for consumers, Harvey Rosenfield and Mercury General Corp’s billionaire executive, George Joseph continues to rage on. 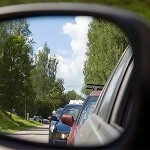 You are currently browsing the Auto Insurance News blog archives for October, 2012 .